On March 19th, (Kevin’s birthday) Facebook released a big announcement that directly affects new home builders and developers. It’s titled “Doing More to Protect Against Discrimination in Housing, Employment and Credit Advertising” but it could easily be renamed “No More Micro-Targeting By Age, Gender, or Location.” This announcement came as a result of settlement agreements with civil rights organizations, and is designed to prevent discrimination. While we’re not certain that these rule changes will prevent it, it did immediately raise some questions. The announcement specifically references that zip code level targeting will not longer be available, but we wondered if that was only being used as an example of a larger shift (ie: perhaps they no longer would allow geographic targeting below the state level? 路‍♂️) so we reached out to our contacts at Facebook for some clarity on that and more. Here’s the breakdown of how this will impact new home builder advertising on Facebook. No Longer Allowed to Target by Age – the default option of “18-65+” will be required. Not necessarily a big deal except for 55+ specific new home communities. Ouch. No Longer Allowed to Target by Gender – the default option of “All” will be required. This one is potentially more impactful – as we know that women drive the vast majority of purchasing decisions in the United States. 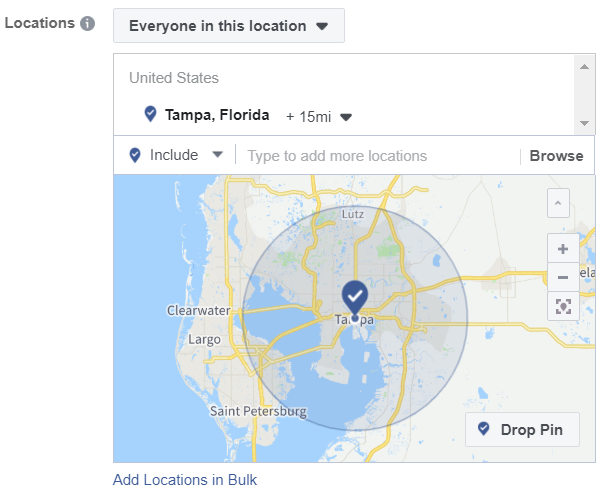 No Longer Allowed to Target by Zip Code – speaking with our Facebook contacts, a minimum 15 Mile Radius will be the smallest geographical targeting available.  That’s right – no more micro-targeting of neighborhoods where you know your buyers are most likely to come from. Does this mean the beginning of the end for super efficient and effective community level campaigns? At first glance it certainly is easy to be discouraged. Real estate is local, and 15 minutes away from my house may as well be a completely different world. Thankfully Facebook’s A.I. has become smart enough to help us at exactly the right time. Read on. These changes certainly will affect quite a few marketers out there, some more than others. While these changes might seem “devastating”, the impact will be felt the most by smaller companies or inexperienced agencies using older methods of micro-targeting that worked will until mid 2018. If you are using newer strategies taking advantage of Facebook’s A.I. then any disruption will very minimal – if you experience any at all. In other words, if you are using outdated strategies and techniques, you can expect your campaigns to have a big decrease in performance the next time you make one using those old approaches. Conversion focused campaigns are the solution because they allow the A.I. to find the best prospects for you based on outcome based objectives you choose. We’ve been utilizing Conversion Objective Campaigns for over six months now. It’s been hard not to talk about them in more detail, but we always try our best to keep our builder partners a step ahead. Sometimes that means we have to wait until a topic begins to catch mainstream traction before speaking in-depth about it. If you attended our Online Sales & Marketing Summit last year as well as our sessions at this year’s Builders’ Show then you heard more about them from us than anywhere else. Below is a screenshot of the before and after of switching over to Conversion Campaigns. In these examples, we experienced 2.5x more leads at the same cost. Conversion Campaigns use the Facebook Pixel to track the actions of visits from your Facebook Ads. Instead of defining who we are looking for based on what we believe our most likely buyer is, we actually define to Facebook what actions a most likely buyer would take on our website. These actions are defined as a Conversion. As the campaign runs Facebook collects data on what common characteristics and attributes those who are most likely to complete a conversion are and then targets those people with your Facebook Ads. Setting up Facebook Conversion Campaigns requires a few extra steps, but with the latest changes it really is no longer optional. 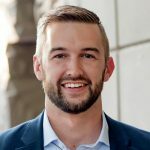 Now that the cat is out of the bag, expect a lot more from detailed content from Do You Convert on Conversion Campaigns in the future – especially on our podcast. We’ve put together a step-by-step guide and a full podcast episode to give you as much clarity as possible.